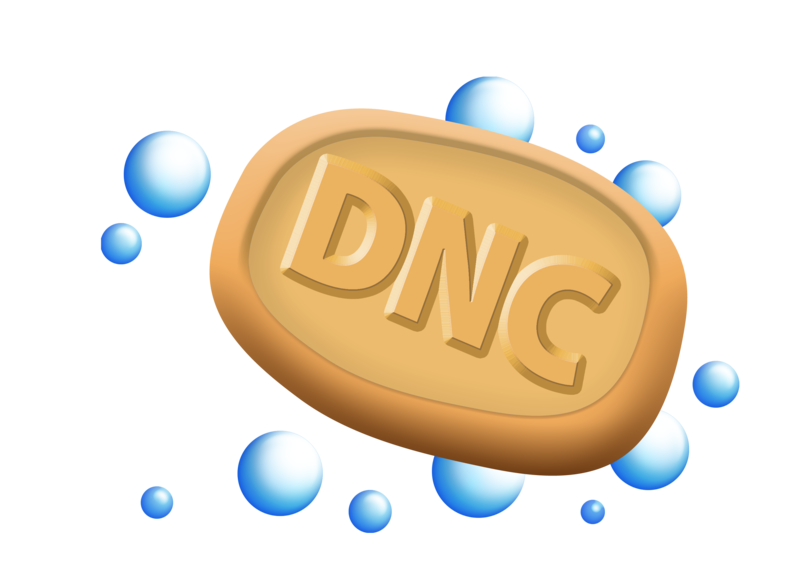 Scrub DNC is a ONE TIME FEE! We do NOT provide DNC Lists, register with the National DNC Registry. Scrub Mobile is your Scrubbing Solution on the go. Now you can call your list and scrub them where ever you are! 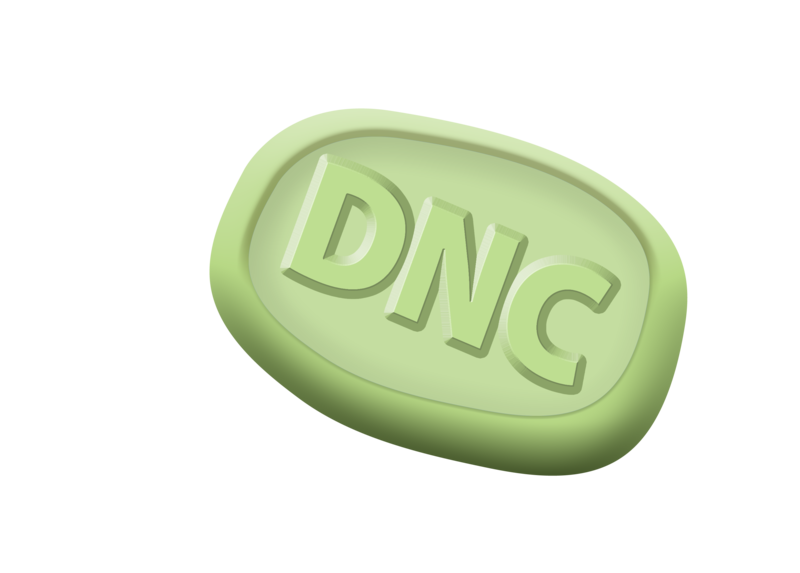 Use for call tracking only or scrub your DNC list too. Open a Lead List and a DNC List from an email. Make calls when you're not at the office or enable someone else to make calls from their home! No more call center havoc. "BYOD" Bring Your Own Device comes to Telemarketing! 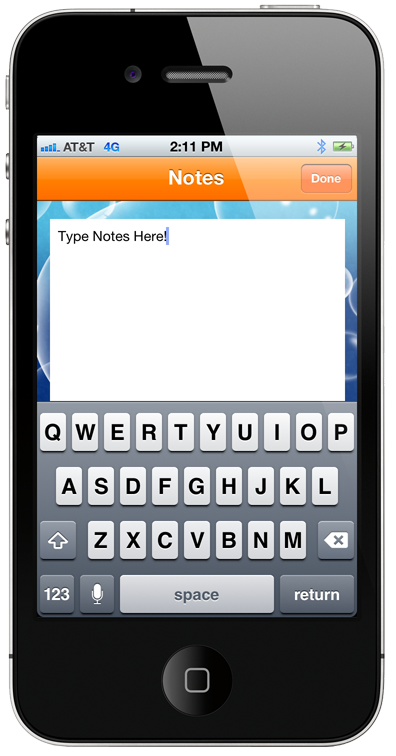 Load your lists into Scrub Mobile and check each number while you call. Take Notes on each of your calls. Email your list back to yourself or someone else so you can keep track of what you did on the go for when you are back in the office. 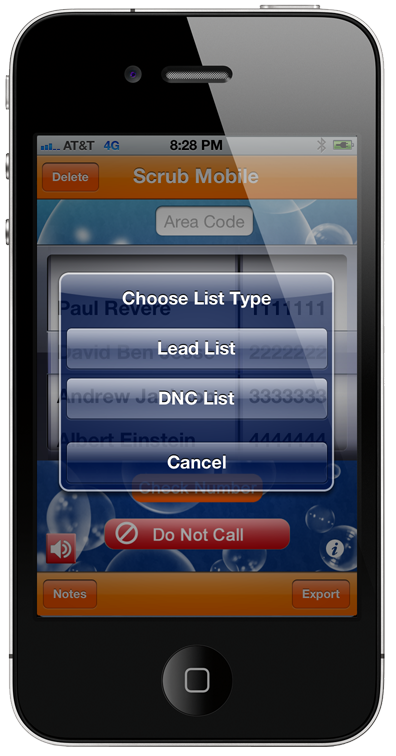 Open the iPhone Mail App and find the email with your Lead List and DNC List attachments. 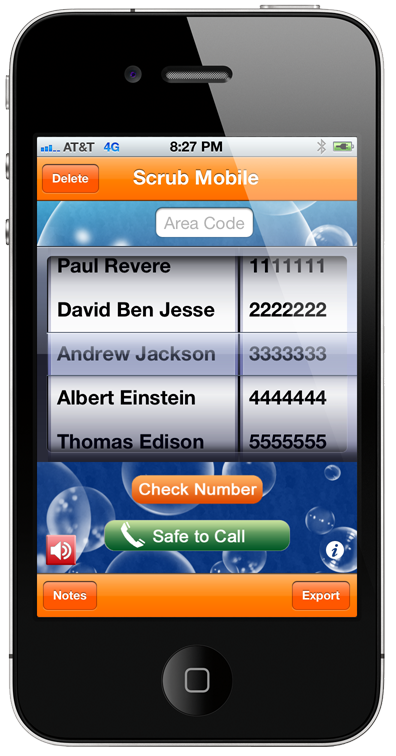 Hold and Touch on the call list attachment and choose Open in "Scrub Mobile". Choose Lead List. This will add your call list to the Call Picker. Go through each number and touch the Check Number button to see whether the number is safe to call and not on the DNC List you imported. If the call status button turns green you can press it and your iPhone will call the number! Make Notes on each call as you make them and with the Export feature you can email them back to yourself or someone else for review later. The delete button will delete all data you have saved in Scrub Mobile. The Area Code Text Field allows you to add an area code or other numeric prefix to the phone numbers in your list for use with the call button. The speaker button allows you to turn the bubbles sound off or on while scrubbing.